Sister Blake is revisited by a face from the past. Will buried secrets stop her from being happy? Lonely Helen Dawson has new responsibilities and trials, but is she looking for love in all the wrong places? And Matron puts the Nightingale first, even before her own health. 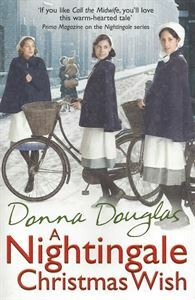 With war looming large, will Matron and the Nightingale survive?